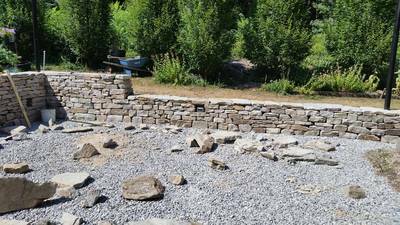 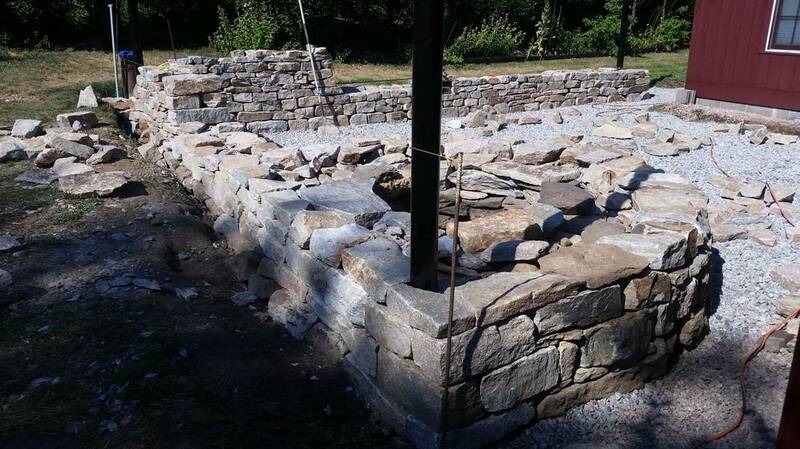 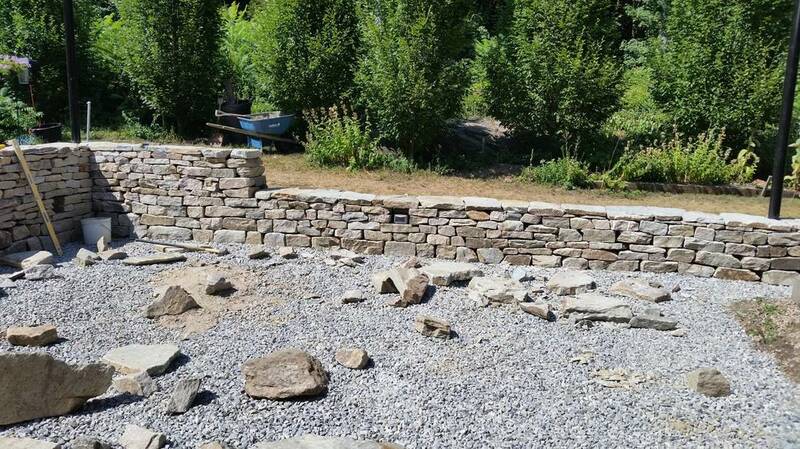 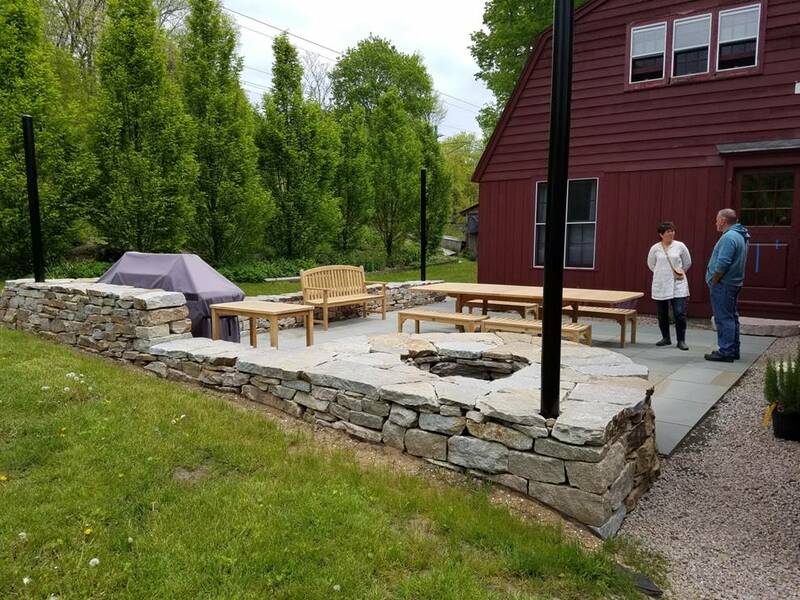 ​When we first arrived to look at this project, the patio location was a 10 ton heap of rubble and soil covered in weeds. 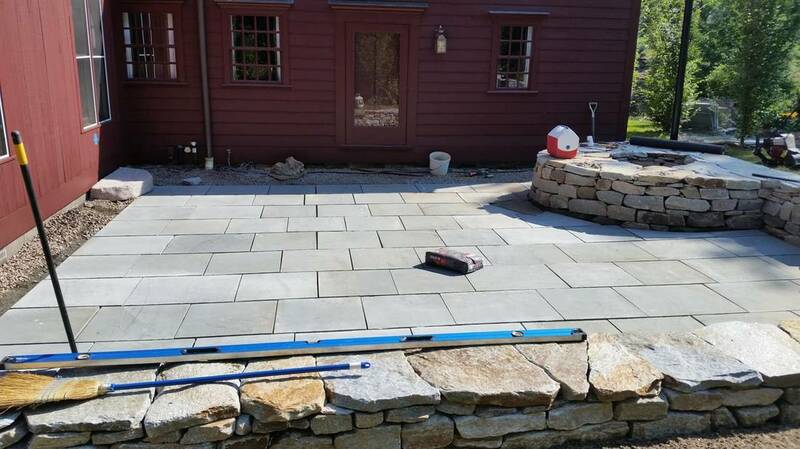 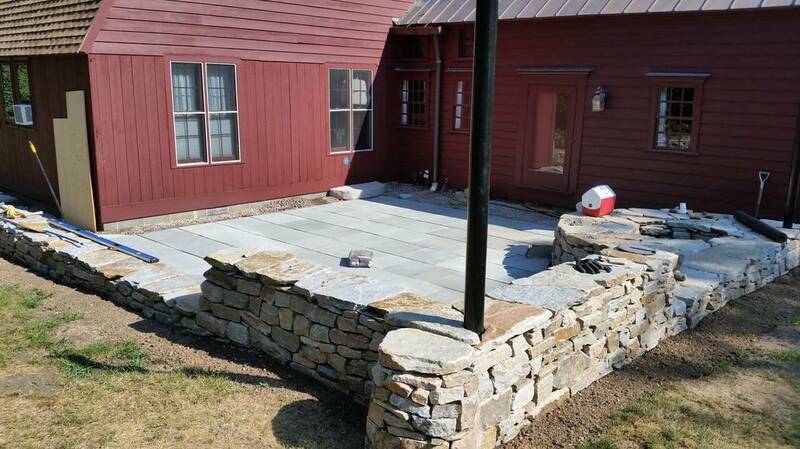 We dug well below grade, to allow for a thick layer of compacted clean crushed stone beneath the patio, while maintaining the finished patio height below the level of the house siding. 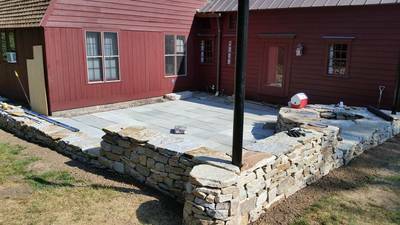 We built into the wall, electric outlets, one for the grill, and one for any auxiliary needs. When we were digging out the site, we found the original well, and the stone at the foot of the well is I assume part of a stepping stone path to the house. None of the other stepping stones survived. 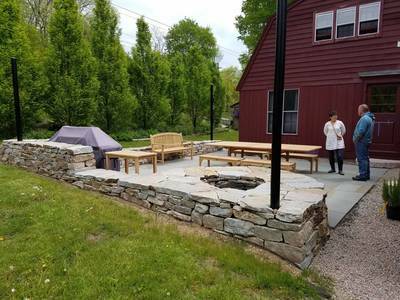 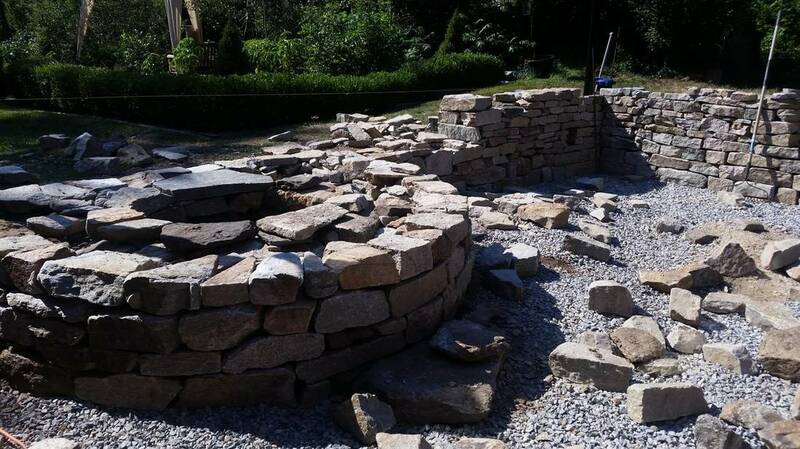 We decided to raise the height of the well above grade, and turn it into a feature and seating area. 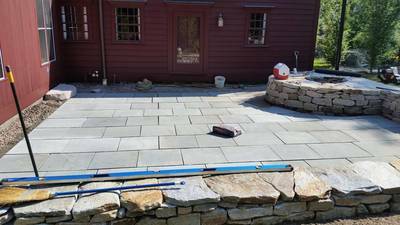 As the quarry that supplied the pink granite for the base of the statue of liberty is just down the road, we decided to get the doorstep made there. The black poles are buried 4 feet into the ground, and surrounded by concrete. 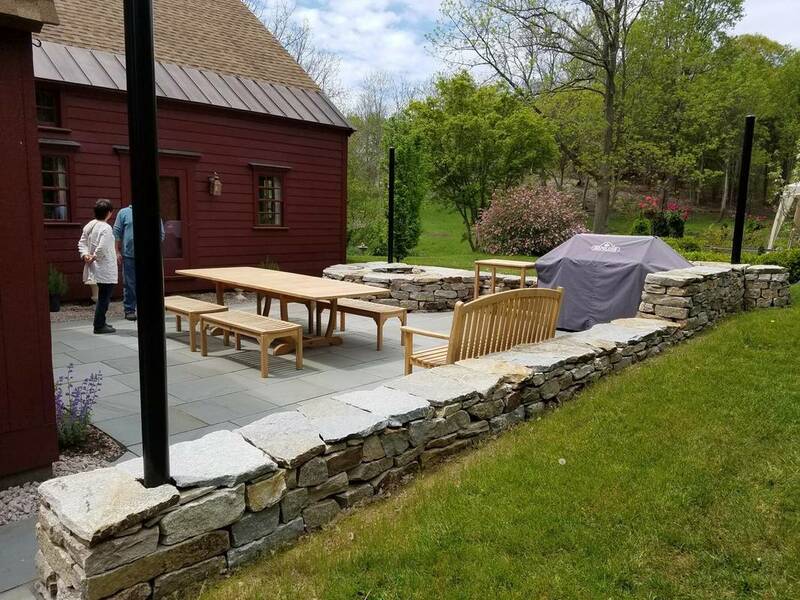 We wanted to make sure they would remain secured while supporting a large sail cloth shade. 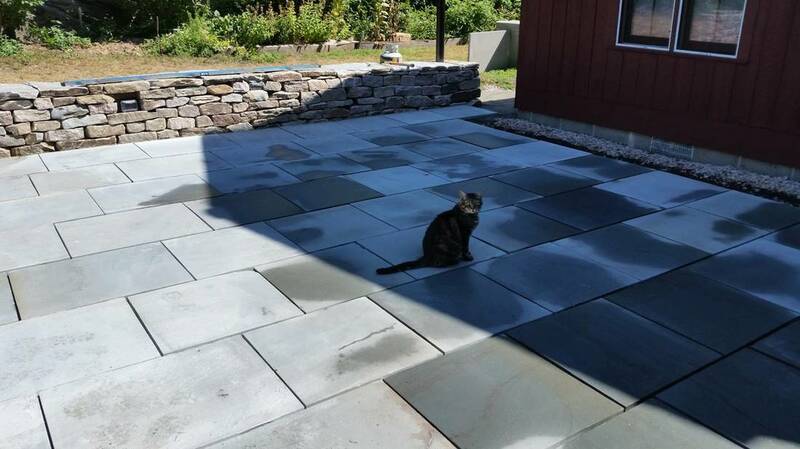 The cat was a constant visitor throughout the project, and his seeming seal of approval made us rename the patio, the catio.